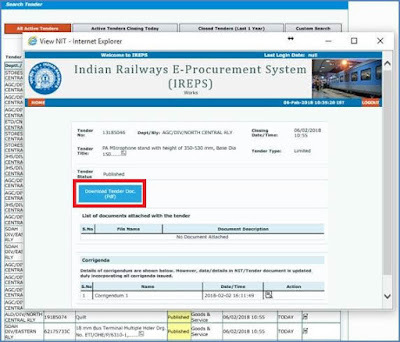 Open the home page of IREPS website by typing the URL www.ireps.gov.in in the address bar of any Internet Browser. 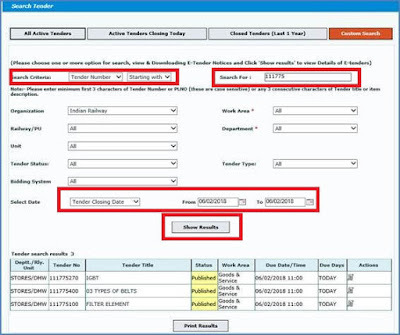 Click on "Search E-Tender" link available on left navigation under Quick Links. 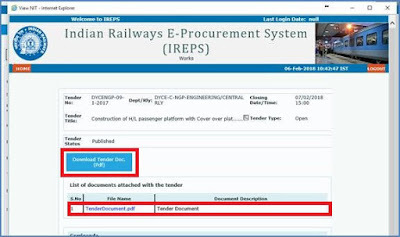 It will open a new page which will show you the list of all Active/Live tenders available on www.ireps.gov.in. 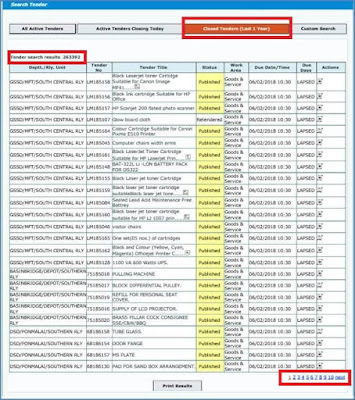 You can also see the total number of Active/Live tenders, the image shown below showing 17166 tenders. Click on next button "Active Tenders Closing Today" to see all the Active/Live tenders which are closing today. 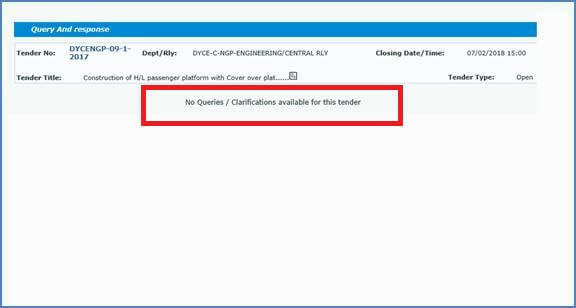 There are 1666 tenders which are closing today. 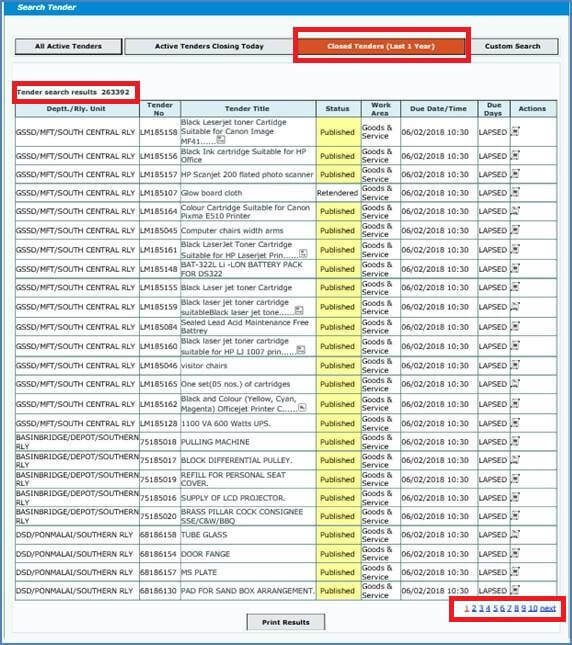 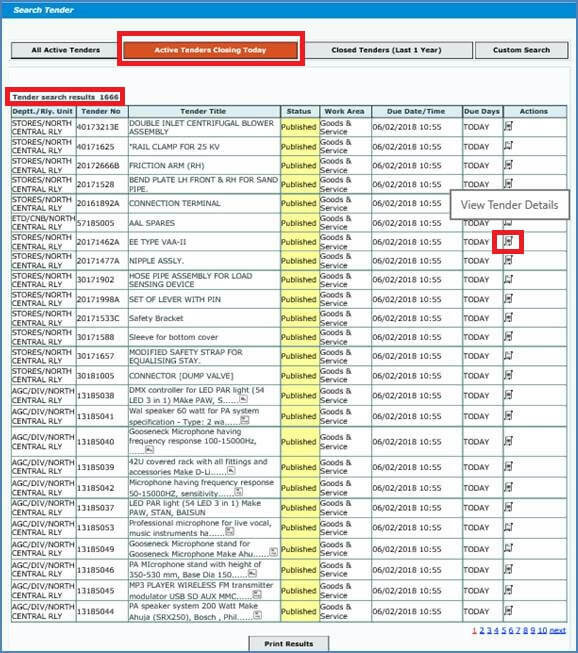 You can see the list of all tenders by navigating to other pages through pagination given at the bottom of the page. Click on action icon View Tender Details to view the details of the tender. To view/download the tender document in PDF format click on the link Download Tender Doc. 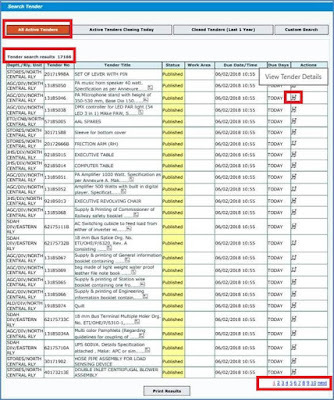 (PDF) and it will be download to your system. 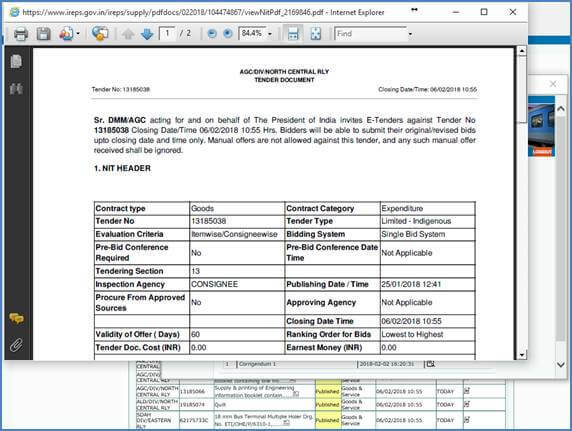 You can also view/download the documents attached to the tender by clicking on the document name under List of Documents Attached with the Tender. 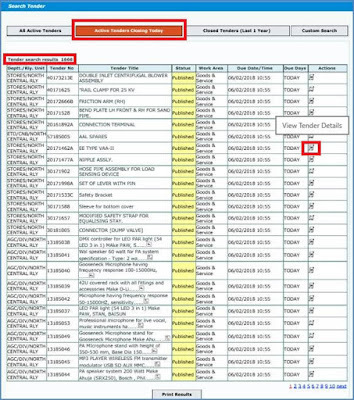 Click on Closed Tenders (Last 1 Year) to see the list of all tenders along with the total count. 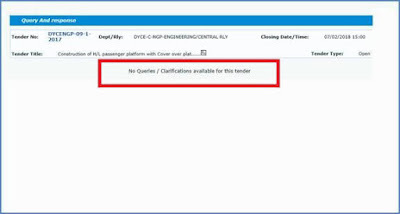 You can also view and download the tender document of these tenders. 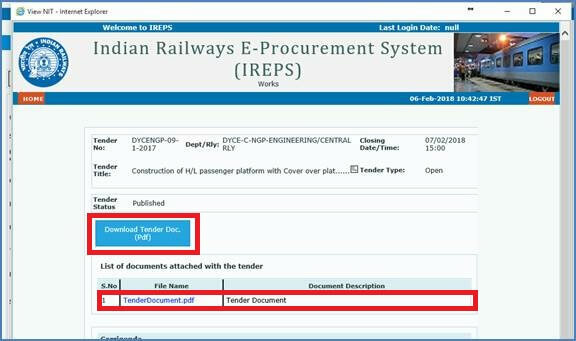 Now, the last link is for Custom Search which is very important for the users to search specific tenders using tender number, tender description, item number, item description, tender type, bidding system, railway, department etc. 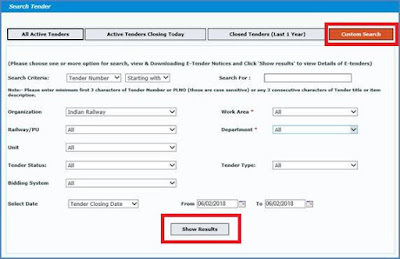 To search a tender with tender number first, select the search criteria as Tender Number and Starting With (if you know only initial part of tender number) or Equal (if you know the exact tender number), enter the tender number in Search For box, select the range of Tender Closing Date and after that click on Show Results button to see the tender which you want to search. 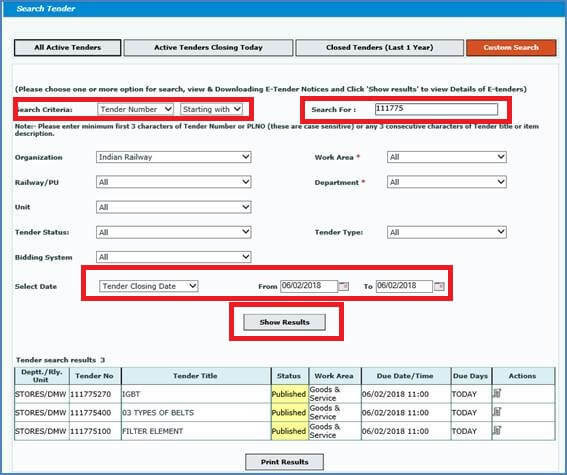 Same way you can search the tenders for the other search criterion. 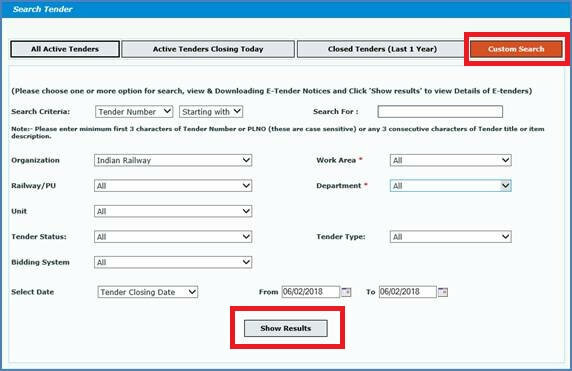 To search tenders having double bid system, select the bidding system as Double Bid System, select the date range, you can also specify the other criterion if required and after that click on Show Results button. 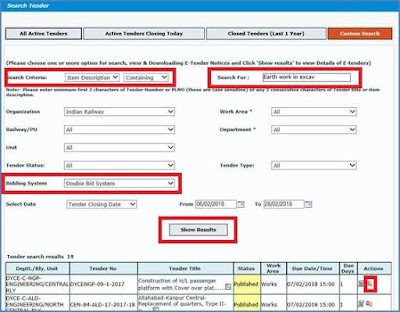 You will get one more action icon along with View Tender Details which is for View Railways Reply for Bidders Queries. By clicking on this icon you can see the list of queries raise by bidders and reply from railway on those queries. 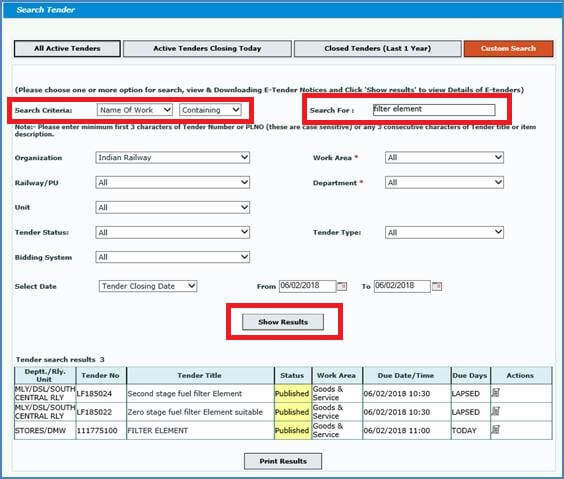 IREPS Works Tender: How to Search Tenders After Login?